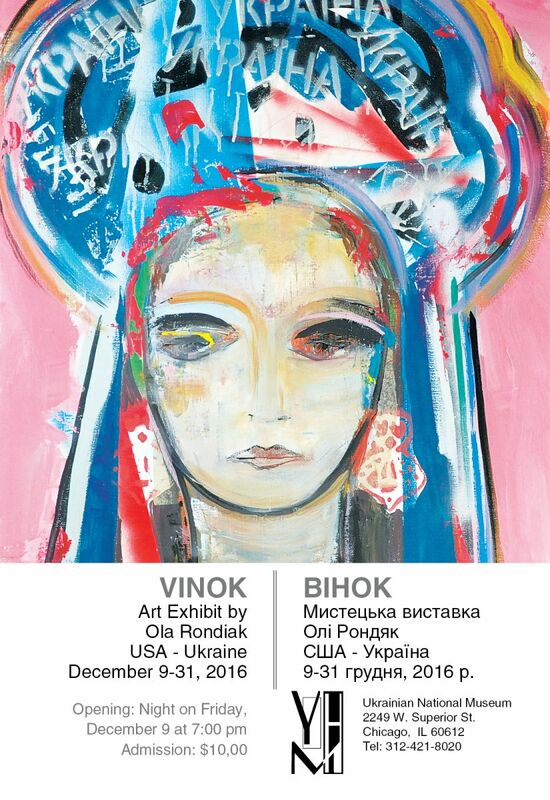 THE “VINOK” WILL ADORN the UKRAINIAN NATIONAL MUSEUM DECEMBER 9 – 30, 2016. (Chicago) A vinok is a traditional Ukrainian flower crown. Historically, it was worn by young unmarried women in hopes of attracting love and harmony and has always been associated with the marriage ceremony. Today it remains part of the Ukrainian national attire while also transitioning into a popular decorative headpiece. The current political situation in Ukraine has only strengthened the symbolic value of the vinok – struggle, strength, determination and beauty. For the artist, growing up as first generation Ukrainian in America, this connection to national pride has always been a part of her life. As a child she was immersed in the culture and traditions of being Ukrainian in America and as an adult, has lived in Kyiv for most of the last 20 years. Adding to this her professional background in psychotherapy and the reactions of the Orange Revolution in 2004, Ola was again caught in the emotions of the Revolution of Dignity and expresses these feelings in her paintings. 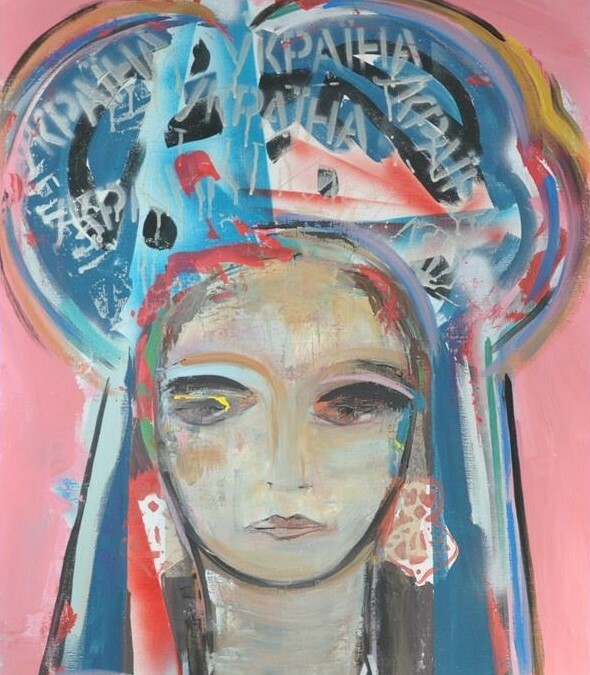 Ola’s paintings reflect not only her admiration for the determined and inspirational women of Ukraine, but also her own personal family history. Ola’s work has been described as “quintessentially Ukrainian – in color, material, style and spirit. Ola Rondiak was born in the United States where she earned her Baccalaureate Degree in Psychology and Education at Hunter College in NYC. After working as a social worker in Brooklyn, she went on to receive her Master’s Degree in Clinical Psychology and Community Counseling. Her psychotherapy career began in Philadelphia and then she and her husband began their journey to Ukraine in 1995.